I’m often asked questions about the process of commissioning a portrait or artwork, so thought I’d go through some of the most frequently asked queries. I absolutely love doing portraits, I think it is one of the few jobs where you are truly pleased to make your client cry (with joy hopefully!). There is something about a painting that no photograph can ever match, for while a photograph captures an instant, a good painting will represent the essence of its subject. I would like clients to allow a good couple of months for portraits, sometimes I can fit in an emergency project, but as my waiting list grows longer this is far less likely. I find often that liaising to meet, and take the reference photos can often be the stumbling block for time. I always take my own photos as it makes for much better portrait if I have met my subject. 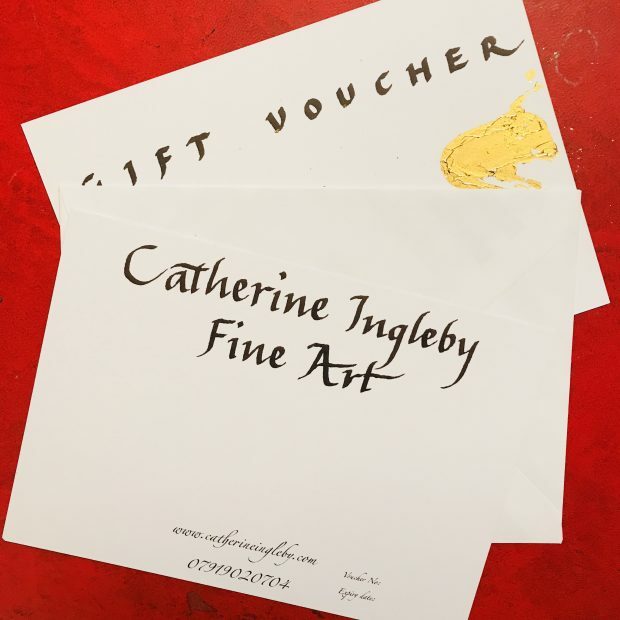 Many clients prefer to give one of my beautiful vouchers as a present so the commission can be arranged without the pressure of secrecy or deadlines, and the recipient is fully involved in the commission process. As rough guide drawings start from £450 and paintings from £650 but I am always happy to try and work to a smaller budget if needs be. 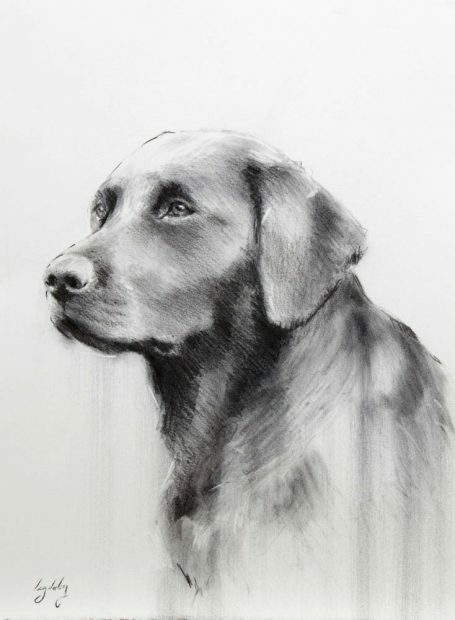 The medium I use may depend on the subject, black dogs lend themselves well to charcoal for example, whereas brown colouring will be lost in charcoal or pencil. I find that where the colouring is important in the subject, oil works better. My two spaniels are blue roan and tan, and their pretty tan eyebrows and paws would be lost in a monotone drawing. Once someone has approached me in regards to a commission, I will send through the price list and commission contract for you to read through . This will give you a guide to the costs and process. Once a rough idea of size and medium has been decided I will come and take the photos. I then contact you after I have edited the photos to confirm the sizing, price and time frame. At this stage we sign the contracts and a 30% deposit is taken. 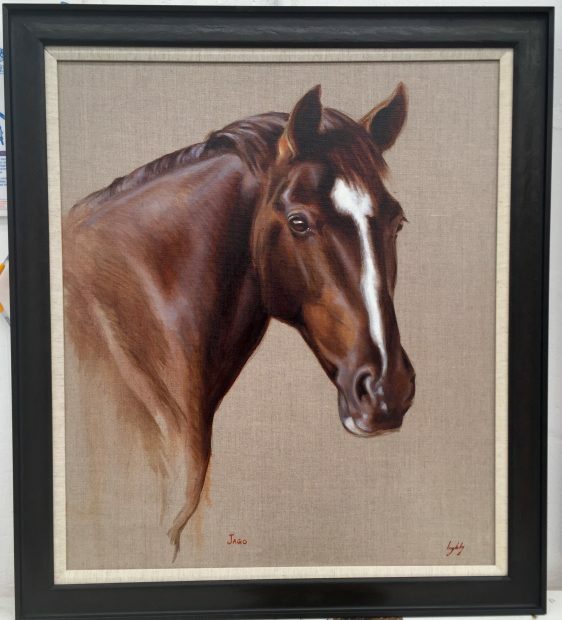 I will order the canvas, which are made bespoke to my specifications on aluminium frames and heavy Italian linen. The drawings are done on 600gsm Fabriano Artistico paper, which I hold in stock. For larger or more complicated portraits I will do several composition sketches and send them via email for your approval. 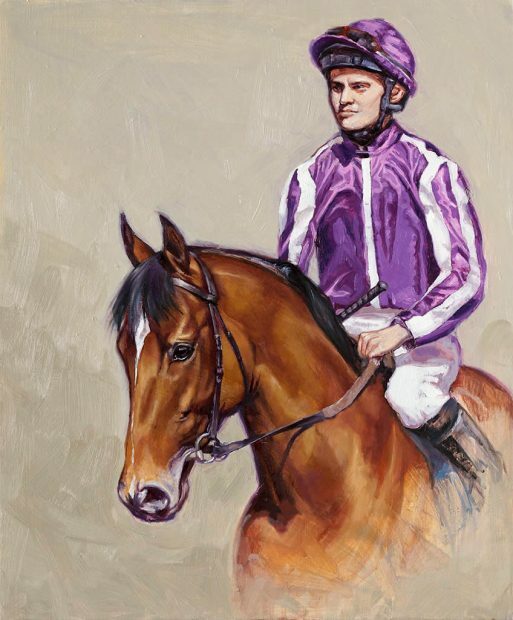 As the painting or drawing nears completion I will send another proof, so minor changes can be made. I do ask that you come to the studio for final approval, as viewing a painting in the flesh is so very different from seeing it on a 4″ phone screen! 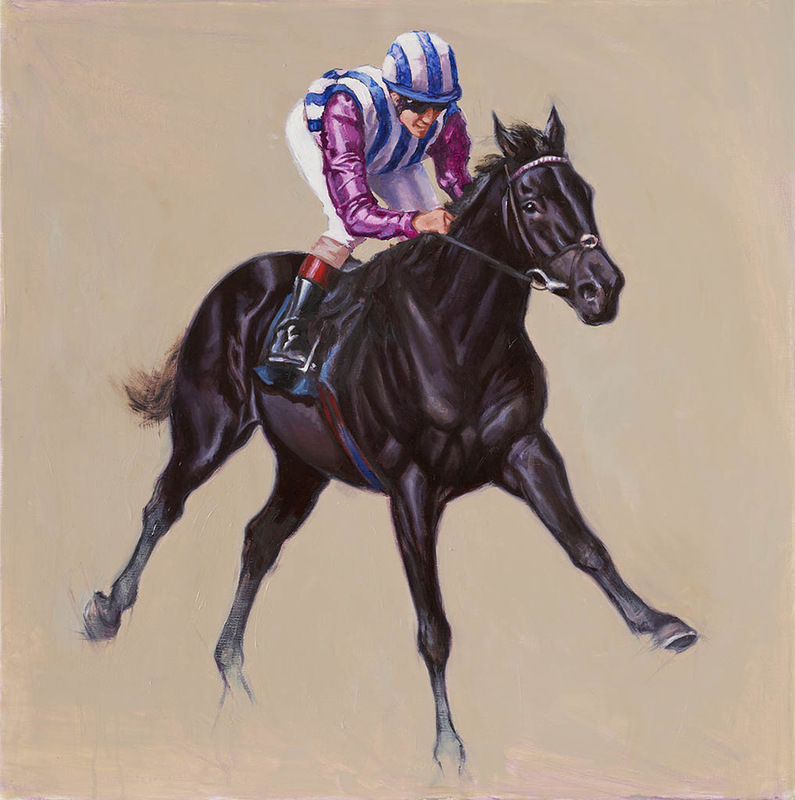 Assuming all is well, final payment is made, the painting is signed and varnished, and will be ready for collection shortly after. 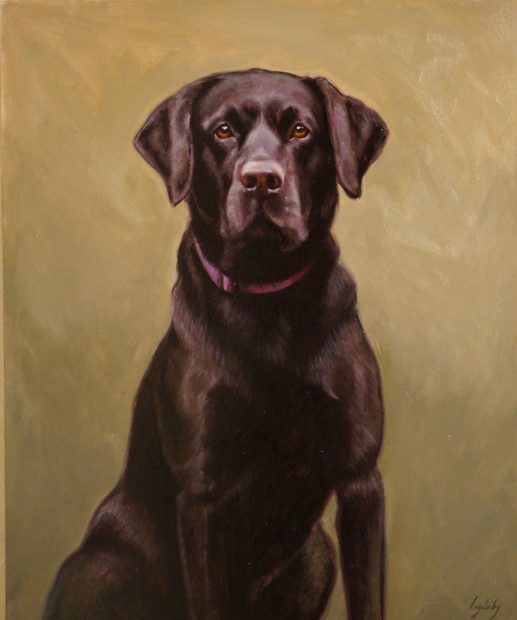 I can do one style of frame, a black Larson Juhl moulding with a linen slip, but for a wider choice have an excellent local framer I am happy to recommend. We can deliver work worldwide, as I understand that studio visits are not always possible. For this I do ask that the commission is given sufficient drying time before shipping.